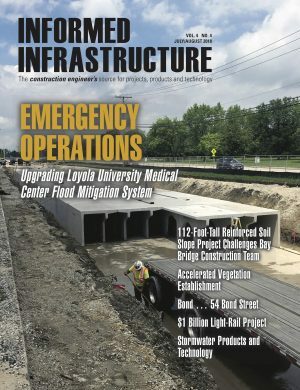 As seen in the accompanying feature, Earth Observation Embracing the New Space Environment: The Significance of EO Smallsat Constellations, the small satellite (smallsat) industry has become an important and market-disrupting force in Earth observation. 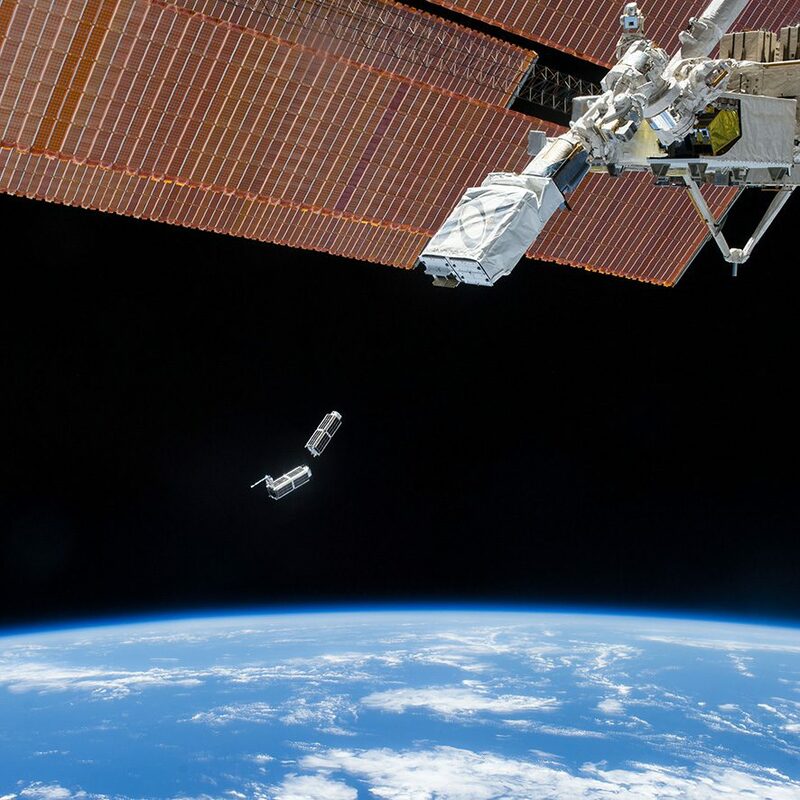 The following are a sampling of the companies making headlines as well as their satellites, some of which are collecting data while others are still in development with impending launch dates. Note that this is a rapidly evolving segment of the industry, as large amounts of capital continue to be invested in these smaller and less-expensive platforms. 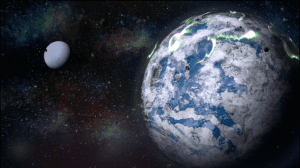 Keep checking the pages of Earth Imaging Journal and its Web site (www.eijournal.com) to stay informed about the latest developments. 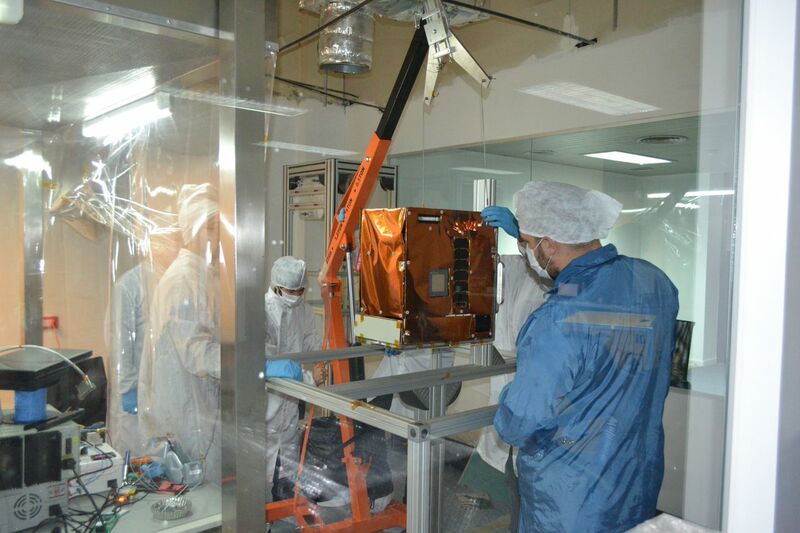 BlackBridge has been a pioneer of the smallsat industry, delivering data from its RapidEye constellation since 2008. 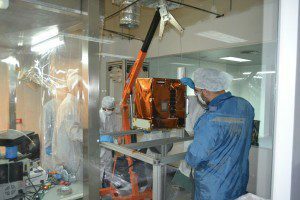 Each of its five identical satellites, built by Surrey Satellite Technology, measures less than one cubic meter and weighs 150 kilograms. Onboard digital recorders store image data until each satellite passes within range of its ground station in Svalbard, Norway. BlackSky Global announced in June 2015 its plan to deploy six satellites in 2016 and have a full 60-satellite imaging constellation by 2019. With the full constellation, BlackSky Global expects to deliver imagery to clients within two hours of an order. The company follows a “pay-per-picture” business model, capturing images of single sites or larger areas as well as providing video at a speed of one frame per second. It will offer its high-resolution imagery at less than $100 per 30-square-kilometer image. 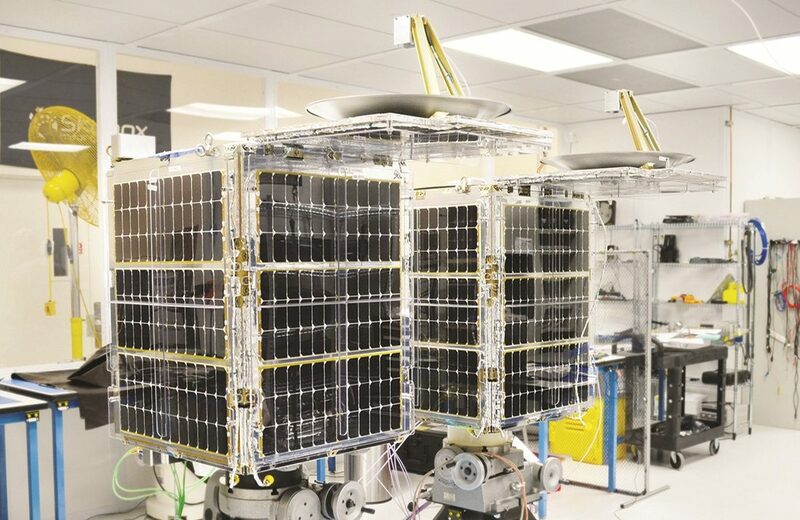 NorStar Space Data spun off NorthStar, which is developing a low Earth orbit, 40-satellite constellation to manage natural resources and track space debris accumulating around the planet. Employing hyperspectral and infrared imaging technology, NorthStar also will enable better understanding of ecological systems. OmniEarth plans to launch 18 satellites in 2018 to provide global-scale analytics to enable better decision making. 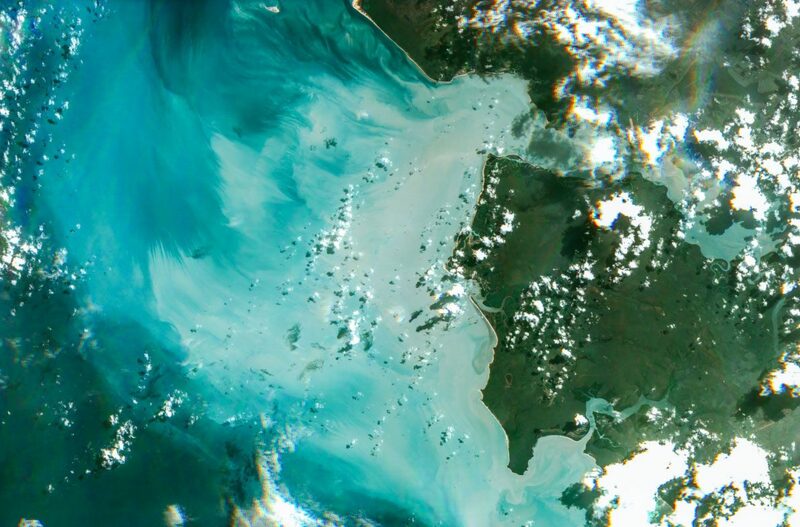 Each satellite images Earth through a reflective optical system designed and built by Ball Aerospace, producing imagery in five color bands and one high-resolution panchromatic channel. 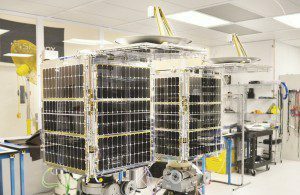 Planet Labs delivered in 2014 its Flock 1, the world’s largest constellation of Earth-imaging satellites, made up of 28 “Doves.” The company’s broad-coverage, high-resolution imagery helps support humanitarian, environmental and business needs. Each image is processed through its automated data pipeline and delivered to customers via API and Web tools. 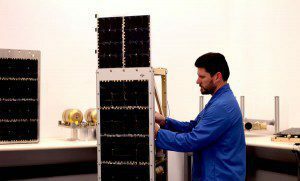 Satellogic plans to launch a constellation of 16 nano-satellites by 2016, providing commercial-grade one-meter-resolution imaging and data at a fraction the cost of traditional solutions. This Argentinian company states it will be able to provide data every few minutes to help tackle the world’s problems. 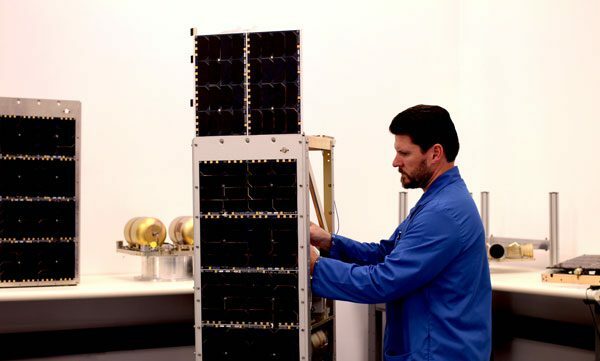 Skybox Imaging, purchased by Google in August 2014, was founded out of the cubesat community and believes in the power of commodity, commercial electronics to change the cost of doing business in space. 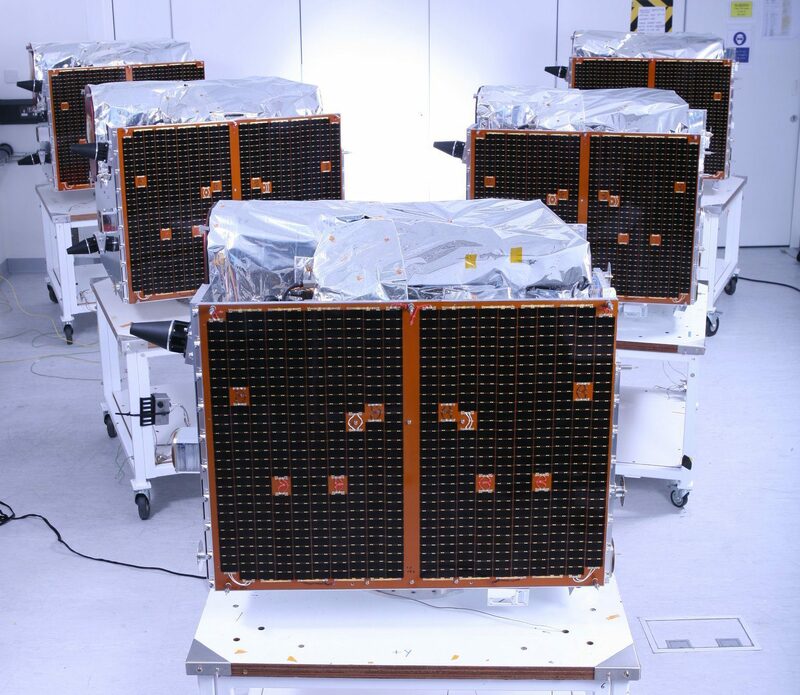 In addition to 90-centimeter-resolution panchromatic and two-meter-resolution multispectral imagery, Skybox satellites deliver high-definition 1080p video at 30 frames per second with metadata for each frame. 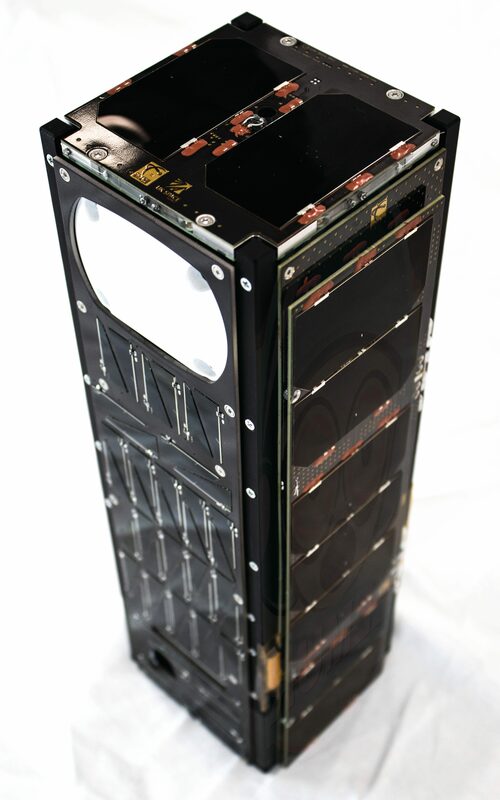 Spire’s unique cubesats have no camera. Instead, they use GPS Radio Occultation, which monitors the bend in GPS radio signals (and advanced algorithms) to acquire data profiles for temperature, pressure and humidity. In addition to weather applications, the satellites also carry an Automatic Identification System to monitor illegal fishing, maritime trade, search and rescue, and piracy. 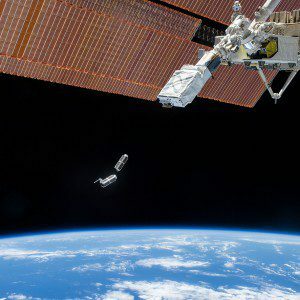 UrtheCast, which currently delivers video imagery recorded from the International Space Station, announced in June 2015 that it plans to build, launch and operate the world’s first integrated multispectral optical and synthetic aperture radar (SAR) commercial satellite constellation. 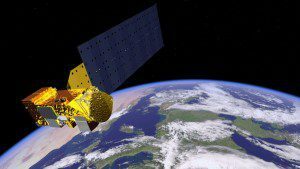 Launch is expected in 2019-2020 and will consist of eight optical and eight SAR satellites that will fly in pairs equally spaced around two orbital planes.